Have you ever felt the spirit of a loved one who passed away? It’s not uncommon, as a medium I have heard from hundreds of people around the world who have felt and experienced their loved ones in similar ways. What you might have missed are the signs your loved ones are using to reach out to you and let you know that they are standing with you are watching over you from up above. After a loved one passes on one of the first things they try to do is communicate with their family and friends left behind in the physical world to reassure them that life continues even after death. Many times you might ‘write off’ some of the ways they communicate as just a ‘coincidence’ but in fact what you are experiencing might just me a very special message from up above. Below are some of the signs your loved ones are using to get in touch with you. The reason why signs are so important is that they remind you of your loved ones spiritual presence in your everyday life without pulling you off course from living your life to the fullest. Each sign is a ‘Hello form Heaven’ reminding you that someone very special there with you. Have you ever had any of these experiences ? Have you ever randomly smelled a fragrance that you associate with a loved one that has passed on? Sometimes your loved ones will send you a fragrance out of the blue to let you know they are close by. Some things you may have experience could be a specific cologne your loved one wore, the smell of smoke if they were a smoker or even the smell of aftershave. When the smell randomly is around you and triggers a memory rest assured it’s your loved one. Those in spirit will use symbols to catch your attention that was unique and special to them and one that’s shows their personality. A loved one in spirit will use pennies , dimes and nickels to communicate if they were a coin collector , loved casino games or maybe it’s an inside joke between you and them. When you see a random coin or penny pick it up and Cheif the date. You may be surprised that the date will be a meaningful number such as a birthday , anniversary or date that was special in your relationship with them. This sign is very common and many times your loved ones will use this during special times in your life such as on or around Birthdays, Anniversaries or maybe in a time you need to feel their presence. Normally they will send you a song that will come on out of nowhere such as when you start you car in the morning or when your out shopping and you randomly hear it. It could be a song they used to sing to you or just a song that they loved when they were here. When you hear it know that it was divinely played for you to enjoy. Have you taken pictures recently during family events or special occasions and there in the picture are floating orbs? Those in spirit are ‘Energy’ sometimes they will appear in photographs and videos. When family and friends are together celebrating they tend to photographed more easily since there presence is always strongest during important events. When you see this know it’s your loved ones way of showing you they were in attendance with you. Many times your loved ones will use repetition to get your attention and also to show you it’s them. After a loved one passes on, they will use more prominent ways to get your attention. Waking you up at the same time is one of them. If you find that you keep waking up at the same time every night or waking up at the time of their passing do not be alarmed. This is your loved ones way of reaching you because you may have been missing the other signs they have been sending you. Have you ever had the experience where you dreamt of a loved one and it was so real you really thought it happened ? Because the other side is made up of energy dreams are the easier way for your loved ones to reach you. When you lay your head down to sleep your mind Enters into an energy space that your loved ones can use as a ‘conference room’ to come and visit. They can pass you a message during that time or just show you they are no longer without illness. Whatever the message is know that you just experience a ‘Dream Visitation. Times such as 11:11, 12:12, are messages that normally come in a time of need, or during a life change or transition when you are searching for guidance around uncertain times. Think of it like Heaven is sending you a little “Hello” letting you know they support and love you and you are on the right track. Your loved ones are in an energy form. Sometimes their presence will affect electrical things such as making the lights flicker or turning on the TV. This normally happens within a few weeks after a loved one passes away while they are still getting used to the spirit side of life. No you house is not haunted, you are just seeing there presence in your house. Many times your loved ones will send you random thoughts from some of the times you spent together. Have you ever had a random memory come to mind and say to yourself “Wow I forget all about that” or a memory that is so deep it brings tears to your eyes. Know that your loved one just sent you a postcard from Heaven. If you have not received a sign from your loved one yet do not worry. Normally it can take up to a year after a loved ones passing to start to connect with them through signs. Normally, they will wait until you are emotionally ready to reach out to you and when they do it will be an amazing experience. Know that anything you think is a sign from your loved one pretty much is. Coincidences do not happen at least not in my world. When you receive a sign say thank you to your love out in Heaven. The more you acknowledge the signs they are sending you the more you open yourself up to communicating with them . When you write off a sign as a coincidence it is like writing ‘return to sender’ on the envelope and sending it back to Heaven. that being said talk with your loved ones and let them know you are ready to start receiving the signs from them. Just a simple conversation un your mind or out-loud will open you up to them reaching you. The more you learn about the signs, the more you learn about that communication is a two way street. Signs are like a language that you can use to communicate and speak to those you love in Heaven. 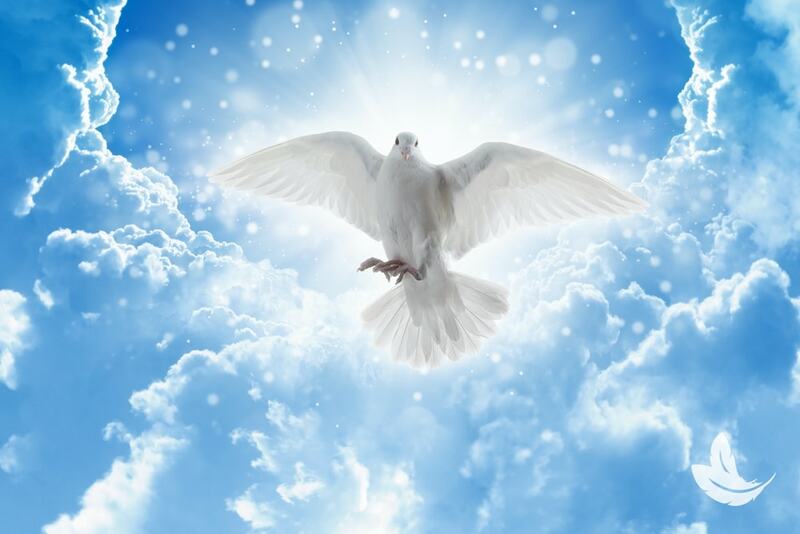 If you are interested in learning more about signs and their meaning, please take a look at my class called ‘Signs from Heaven’ by clicking HERE.